Venezuelan socialist dictator Nicolás Maduro’s grip on power is slipping as his regime is now failing to provide adequate food supplies to its loyal military apparatus. A renowned Venezuelan journalist broke protocol and has since lost her job after honoring the life of the anti-socialist rebellion leader Oscar Pérez, killed by security forces following a violent standoff. 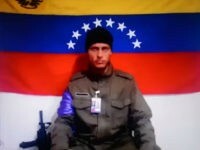 A rogue Venezuelan helicopter pilot leading a resistance against the country’s socialist dictatorship is believed to have killed after a violent standoff with police on Monday. 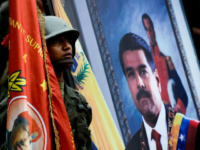 Venezuela’s socialist dictator Nicolás Maduro condemned the “terrorists” that broke into the country’s National Guard unit over the weekend and stole dozens of weapons. 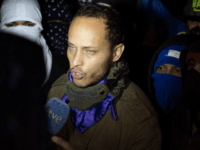 The Venezuelan helicopter pilot who allegedly attacked the country’s Supreme Court building last month resurfaced Wednesday in a video vowing to carry on fighting for the “liberation” of his country from the Maduro dictatorship.